Though it might seem daunting, upgrading to a full-fledged Dolby Atmos/DTS:X speaker configuration doesn't have to be an intimidating prospect. At least, that's what French audio company Focal is hoping to prove with its new Sib Evo 5.1.2 Home Theater System. 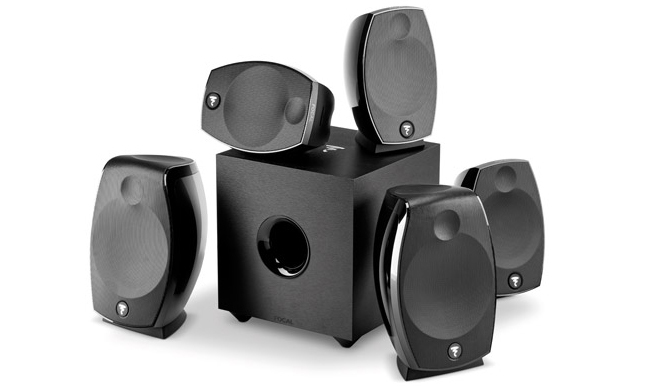 Featuring a convenient package of five satellite speakers -- including two with upward firing drivers for overhead effects -- and a compact subwoofer, the simple yet elegant setup aims to make immersive audio easy, allowing users to experience premium sound without taking over their living rooms or installing troublesome in-ceiling units. And after spending some quality time with the system, it's clear that this is far from a typical home-theater-in-a-box solution. The Sib Evo 5.1.2 speaker package includes 2 Sib Evo Dolby Atmos Loudspeakers for front left, front right, front height left, and front height right channels; 3 Sib Evo Satellites for center, left surround, and right surround channels; and 1 Cub Evo Subwoofer for the LFE channel. The standard satellites each feature a 3/4" soft dome tweeter and a 5" Polyflex woofer with a frequency response of 70Hz to 25kHz. Meanwhile, the Dolby Atmos speakers add an upfiring 4" full-range driver on top (90Hz to 20KHz) to bounce sound off a user's ceiling in order to simulate overhead audio. Finally, the sub features an 8 1/4" Polyflex woofer, a 200W Class-D amplifier, and a frequency response of 35Hz – 150Hz. 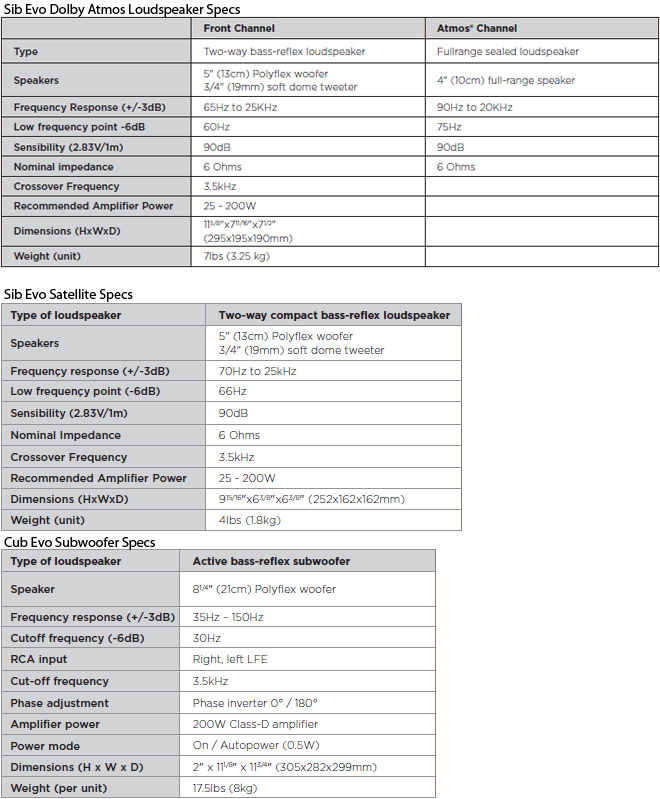 From a visual perspective, the Dolby Atmos loudspeakers and standard satellites all feature a similar aesthetic, though the Atmos speakers are about a third larger. The units look quite stylish with a slick rounded design, compact size, non-removable metal grill, and glossy black finish. And despite the speakers' small foot-print, they each feel quite sturdy and well built, signaling a clear step-up from cheaper home-theater-in-a-box solutions. Removable base stands are also integrated, and the speakers can be laid horizontally as well for a more traditional center channel arrangement (as a nice little touch, the Focal logo can even be turned to accommodate this position). 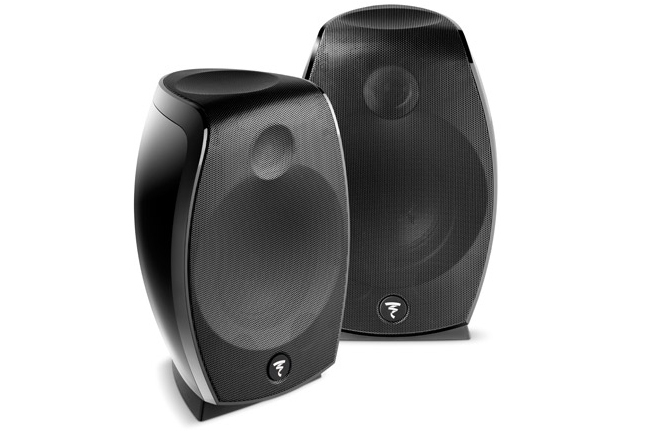 Likewise, the package includes brackets for wall mounting, and Focal sells optional floor-stands as well. 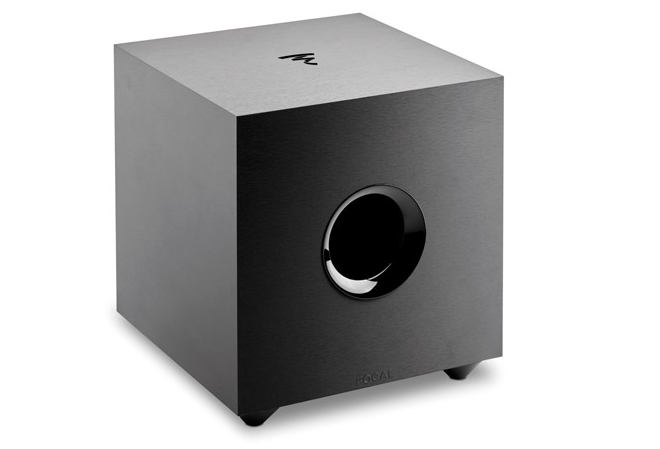 Meanwhile, the Cub Evo subwoofer features a fairly standard but attractive square design with a black MDF finish, a glossy black port, and a downward firing woofer. Knobs for volume and crossover are located on the back, along with a switch for phase and power. Installing the speakers should be pretty simple and straightforward for anyone who is already familiar with similar satellite packages. For my particular setup, the left and right Dolby Atmos loudspeakers were placed atop a TV stand on their included bases to the left and right of the display (Focal recommends a distance of about 6.5 feet between the two). I then took one of the standard satellites and detached the base to reposition the speaker back horizontally on its stand below my TV to serve as the center channel. The remaining two satellites were then placed atop speaker stands behind my couch to serve as surround channels. Next, the subwoofer was positioned in the left corner of the room off to the side of the entertainment system. Once everything was set in place, I connected the speaker wires from my receiver to the binding terminals on the back of each unit. Though perfectly serviceable, I did find the binding apparatus to be a bit frustrating at times. Rather than the standard twisting knob or clip system found on most speakers, the units instead feature two small holes that open when a single button is held down. This meant that once I got one wire secured, I had to press the release button down again to place in the second wire -- and this sometimes caused the first wire to pop out. Sure, not a big deal, but still a little annoying for someone with clumsy hands like myself. Finally, with the connections secured, the only thing left to do was run my Onkyo receiver's acoustic calibration system. And after fine-tuning some of the results, the system was ready for demo material! For review purposes, I demoed a variety of Blu-ray discs, streaming content, and Ultra HD Kaleidescape downloads (full review of the Strato player coming soon), including titles like Kong: Skull Island, La La Land, The Fifth Element, Batman v Superman, Mad Max Fury Road, Fantastic Beasts, Roger Waters The Wall, and Game of Thrones. Likewise, I also sampled various clips from Dolby Atmos and DTS:X demo discs. Whether playing standard surround sound tracks or object-based mixes, the Sib Evo system provided a fully immersive experience, offering fantastic movie performance in a conveniently compact package. As a whole, the 5.1.2 setup blended wonderfully to create a truly enveloping home theater atmosphere, and though smaller satellite units typically have issues with range and depth, the Sib Evo speakers always produced surprisingly full sound for their size, offering ample texture and dynamics throughout the lows, mids, and highs with no egregious gaps. When it came to object-based audio, the upfiring drivers worked about as well as any other models I've sampled, resulting in a very welcomed expansion of the soundstage in Dolby Atmos and DTS:X tracks. Specific effects really did sound as if they were positioned above the listening area as the height cues reflected off the ceiling. And to truly evaluate the upward firing performance, I even disconnected all of the other speaker channels to isolate the heights during a few scenes. The initial King Kong attack in Skull Island was particularly impressive, bouncing spinning helicopter blades, blazing bullets, and thundering roars from above. Likewise, the scene where Leeloo escapes into the bustling city from The Fifth Element worked very well to highlight the Sib Evo's Atmos performance, sending swooshing traffic to the heights with discrete positioning and smooth motion. Other Atmos and DTS:X demo clips revealed similarly impressive results, including a DTS piece dubbed Locked Up with a buzzing fly that transitioned from ear level to the ceiling. In addition, a DTS:X music video from the band Run River North used the upward drivers to convincingly place certain vocals above. With all that said, the effect wasn't always perfect, and there were times when the heights created a more general sense of higher sound rather than a true feeling of overhead audio. Still, even in those instances, the extra layer of sound always enhanced the experience. 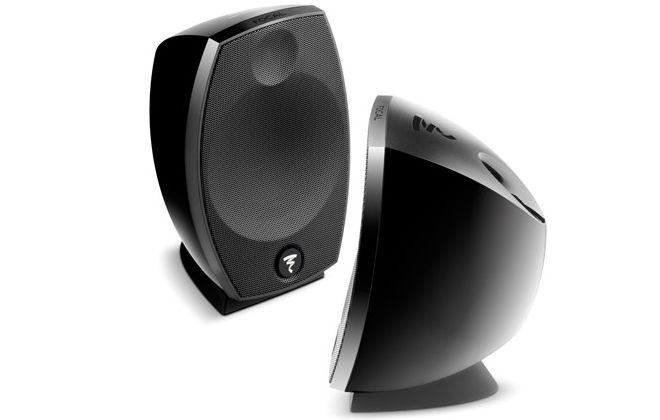 Beyond height performance, the system's overall surround sound rendering was also exceptional for its size. Imaging between the speakers was seamless, sending sounds from the left to the right and to the sides with natural movement. The epic title showdown from Batman v Superman was especially striking, filling the room with thundering rain, smashing debris, clanking punches, and exploding heat vision from all angles with precise directionality and powerful range. More delicate pieces, like the Leaf demo from the Dolby disc, were equally compelling, spreading intricate nature sounds and rustling wind around the listening area. Bass activity was also nicely implemented, though my receiver initially pumped up the subwoofer a tad too high, resulting in a few instances when the unit revealed its location a bit too much for my liking. Thankfully, after dialing it down just a tad, the woofer blended quite well with the satellites, creating some powerful LFE cues without any major rattling or distortion. Key LFE effects in films like Inception, X-Men: Days of Future Past, and The Tree of Life that I've found to be a little problematic for some subs all came through without any major issues. Likewise the wildfire explosion in Game of Thrones and the falling debris scene from Transformers: Age of Extinction sent a distinct guttural roar and a droning series of clanking bass cues throughout the space. With that said, my living room is definitely on the small side, and the relatively compact woofer might have some issues filling larger areas. Likewise, with a frequency response rated for 35Hz – 150Hz, the unit might not be able to get as low as some audiophiles would like. Similarly, size may have also been a slight hindrance when it came to the center channel. Though dialogue was usually clean, full, and easy to hear, there were times when the center satellite could get a little overpowered by the larger front speakers, resulting in speech that was a tad soft. Placing the center satellite vertically like the other front channels might alleviate this to some degree, but for most that likely won't be an option (it would probably block your TV). As it stands, the satellite still works well as a center but you might need to make some adjustments if dialogue is too soft. Finally, outside of movie performance, I also sampled some concert discs, MP3s, Hi-Res audio files, and streaming songs to test the system's music performance. Roger Waters The Wall in Dolby Atmos sounded absolutely phenomenal, creating a truly engulfing dome of sound. Likewise, various tracks from artists like Arcade Fire, OutKast, Ariana Grande, The Beatles, Norah Jones, Radiohead, and Gnarls Barkley all sounded great with impressive dimension, clean vocals. and distinct instrumentals. There could be a hint of brightness here and there, but by and large the system's 2.1 audio profile was pleasingly versatile and dynamic. While the subwoofer didn't quite bring the room-shaking punch that some bass heads might be looking for, the balanced sound created a natural and seemingly accurate presentation. Offering a space-saving design and simple installation process without sacrificing sound and build quality, the Sib Evo 5.1.2 Dolby Atmos Speaker System is an ideal immersive audio solution for customers with small to mid-size rooms. The upward firing drivers create solid overhead effects and the system as a whole delivers a seamless and enveloping soundstage. There are cheaper Dolby Atmos home-theater-in-a-box packages on the market, but at $1,299 these speakers earn their higher price point. While the subwoofer might not pack enough power for larger environments and the center satellite might need a little tweaking, the system still finds an excellent balance between compact form and premium performance. If you've been holding off on upgrading to an Atmos/DTS:X configuration due to space limitations or a wariness toward cheaper all-in-one solutions, look no further -- this just might be the system you've been waiting for. Highly recommended.